One of the biggest issues the planet faces today is energy production. The ever developing cities of modern society require a constant supply of energy and while power plants still remain the main providers of energy in many countries, their sources aren’t renewable, not to mention the damages they cause to the environment. This is why scientists and energy experts have come up with alternative methods to harness energy. 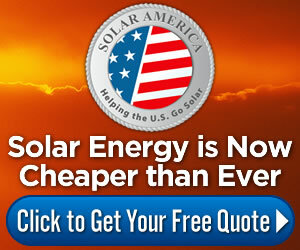 Solar power is among the best of these renewable energy sources and it is widely used. Many homeowners opt for clean energy by installing their own solar panels given that it has numerous benefits like we previously highlighted. But the world is yet again poised for another phase of rapid technological advancement in the form of the Internet of Things, which is considered by experts as the next industrial revolution. Naturally, the energy source for this technology surfaces as a basic conundrum, and there are various researchers and specialists looking at solar energy to serve as the supplier. Roughly two years ago, researchers at MIT unveiled a minute solar cell that connects to a smart microchip which converts 80% of the energy it receives. When affixed to a device or sensor, the microchip can then assess and regulate current flow for maximum efficiency. Considering that the IoT is run through interconnected devices and sensors, the 80% conversion from a solar cell embedded chip that’s just 3×3 millimeters in size is a significant rate. In comparison, present microchips are only capable of a conversion rate that ranges from 40% to 50%. By the year 2020, the tech research firm Gartner estimates that over 20 billion objects will be IoT-enabled as mentioned in a Telogis blog post. Therefore, a solution to the energy requirement is necessary before that happens. Another notable project is the collaboration between Georgia Institute of Technology and Beijing’s National Center for Nanoscience and Technology. An article from Tech Times relayed that the experiment is made up of three energy sources, namely: a silicon solar cell, a nanogenerator, and wind energy. This hybrid source may be installed on rooftops, much like conventional solar panels. A single unit can produce more than 30 milliWatts, and several units working together will be able to power household machines. 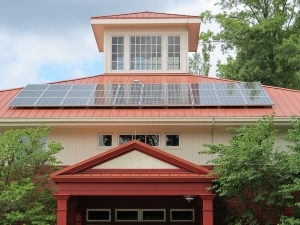 In a previous Go Green Academy post, we talked about how solar panels are cost effective for homes and the aforementioned new creation has added yet another means for households to run on solar energy. The end goal of the researchers is to use the tech to power ‘smart cities’ which are run through the IoT. They installed four units on a rooftop of a model house and powered LED lights as well as a temperature and humidity sensor. When applied on a large scale, multiple structures that have multiple units of the hybrid device may effectively sustain smart cities. In addition, there’s a different type of material that’s emerging today as an alternative to silicon solar cells. IFLScience showed prototypes of organic solar panels which are made from materials similar to the components of soft drink bottles and junk food wrappers. The result is a solar panel that’s lighter and more flexible. These organic panels may also be safely mounted on clothes and other unusual locations. Powering up mobile devices and other IoT gadgets on the go without power banks suddenly became feasible. Should You Use Small Solar Panels In Your Home?